Congratulations to Pleasanton High School students Leslie Hartman, Lauren Dowdy, Karen Yanez, Jacqueline Lugo and Jesus Rodriguez. These talented artists all placed at the San Antonio Stock Show and Rodeo Western Art Show with their beautiful pieces. 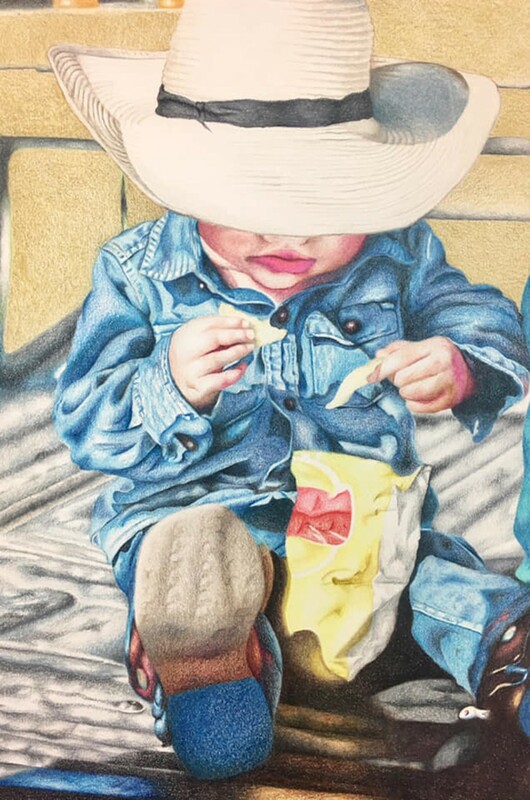 Senior Leslie Hartman received a second place ribbon in AP Drawing with “Next Generation,” (little cowboy with bag of chips). 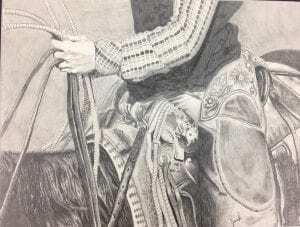 Jesus Rodriguez, a junior, received a second place ribbon in AP Drawing with “Vaquero,” (black and white drawing). Senior Jacqueline Lugo received a second place ribbon in AP 2-D Design with “One Tough Critter,” (calf branding). 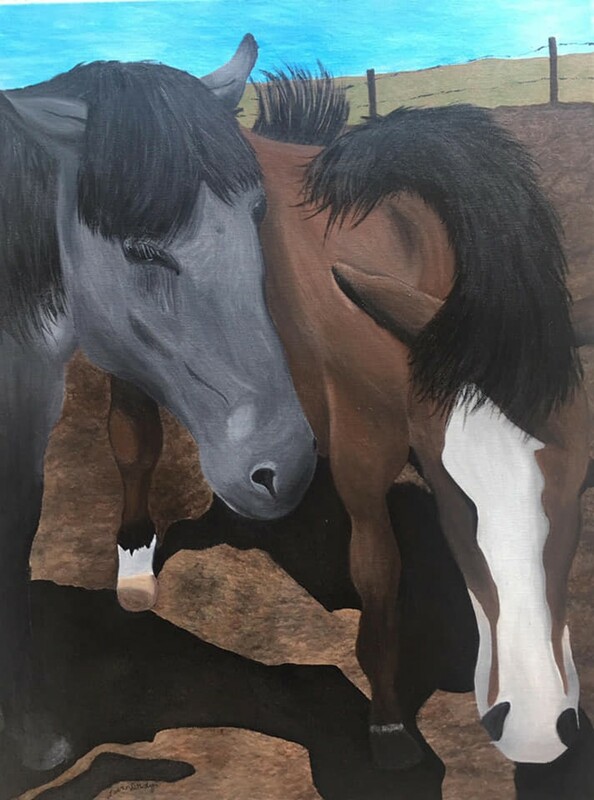 Lauren Dowdy, a junior, received a third place ribbon in AP 2-D Design with “Inseparable,” (two horses). 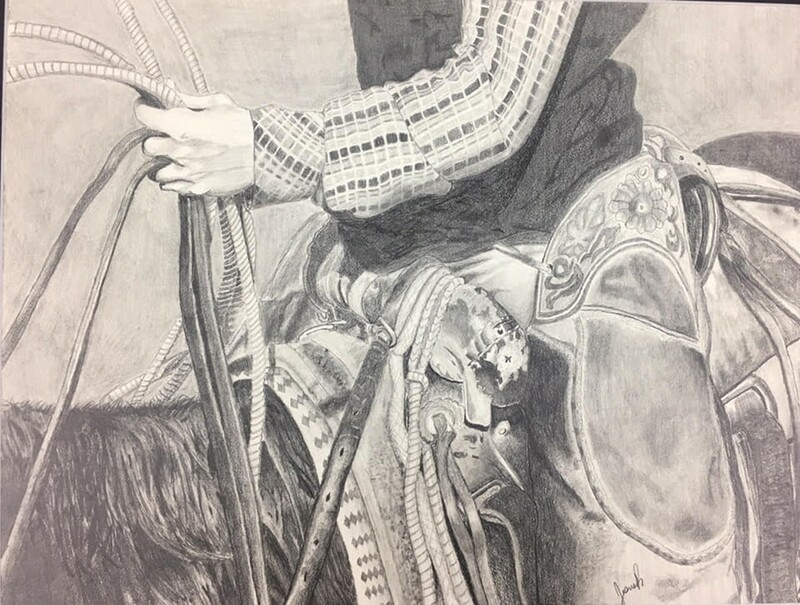 Karen Yanez, a senior won a third place ribbon in AP Drawing with “A Day’s Work,” (cowboy on a horse). On Dec. 2, a reception and show was held on the stock show grounds behind the AT&T Center. 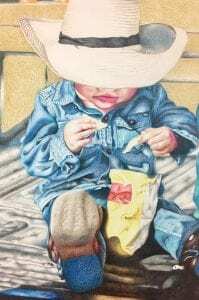 The first Student Western Art Contest was held in January of 1996 by the Western Art Committee whose mission is to support the education of the youth of South Texas through its Western Art Contest which encourages an appreciation of our western heritage. 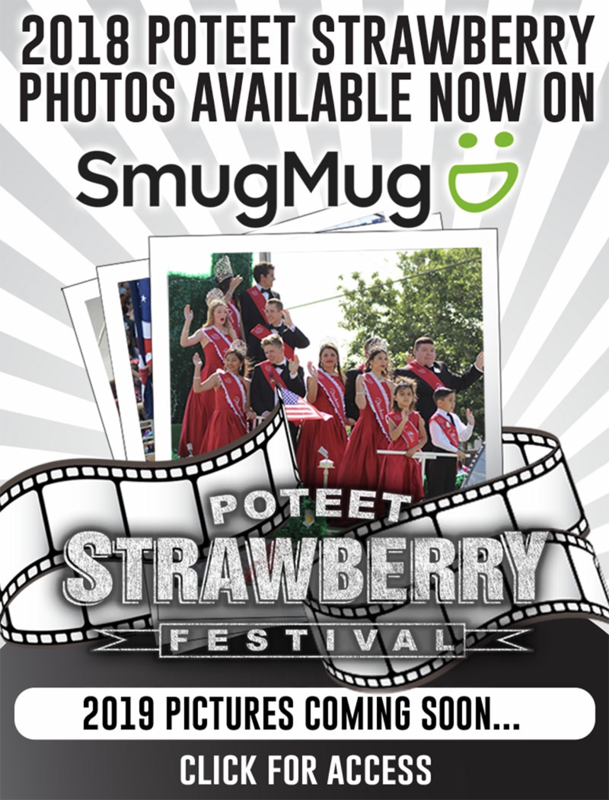 The contest has grown and evolved over the years and now reaches 95 South Texas School Districts in 32 counties and has awarded over $3,900,000 in college scholarships over the past 23 years. 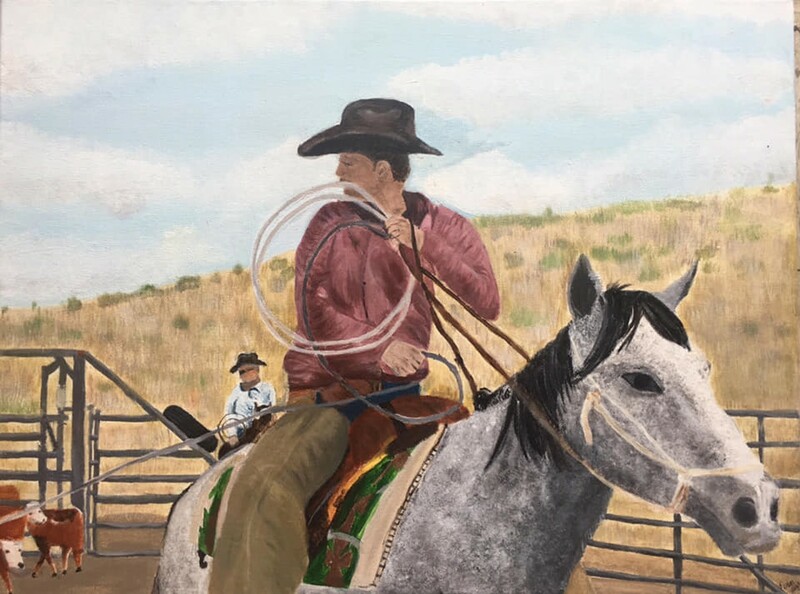 The Western Art contest is open to high school students currently enrolled in one of the 95 eligible school districts, as well as those attending a private school or homeschooled in one of the 30 eligible counties. The Western Art Contest is held annually in early December. This year the students whose entries are judged in the Top 16 at the contest will be eligible for a total of $90,000 in college scholarships (certain restrictions apply). 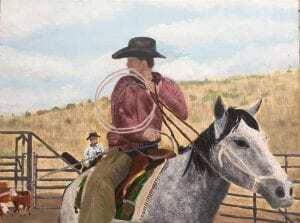 The Briscoe Western Art Museum will also be exhibiting the Top 16 pieces of artwork throughout the month of January prior to the exhibit moving to the grounds of the San Antonio Stock Show & Rodeo in February.